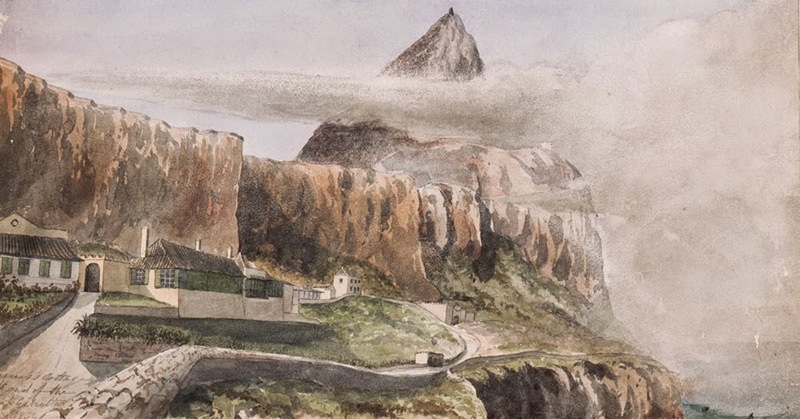 He was definitely stationed in Gibraltar in 1834 as a lieutenant and appears as a subscriber to the Garrison Library of 1837 which was probably compiled a year earlier. 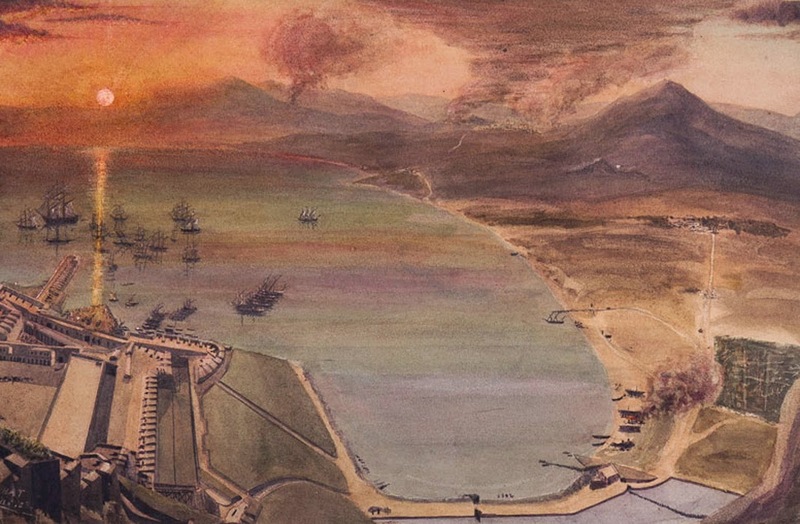 Obviously not a "pretty picture" but historically it is fabulous - there is the newish six sided wharf, the entrance via the Water Gate to the market place, Casemates Square with one gate, the road to La linea via the Bayside Barrier and the precursor to the Victoria Gardens. In the distance San Roque and perhaps Castellar de la Frontera. No coal being made in Sierra Carbonera but there is elsewhere. It's an interesting picture. This area now known as Governor's Parade' was once called 'Gunner's Parade' precisely because of the barracks from where the artist positioned himself to paint it. 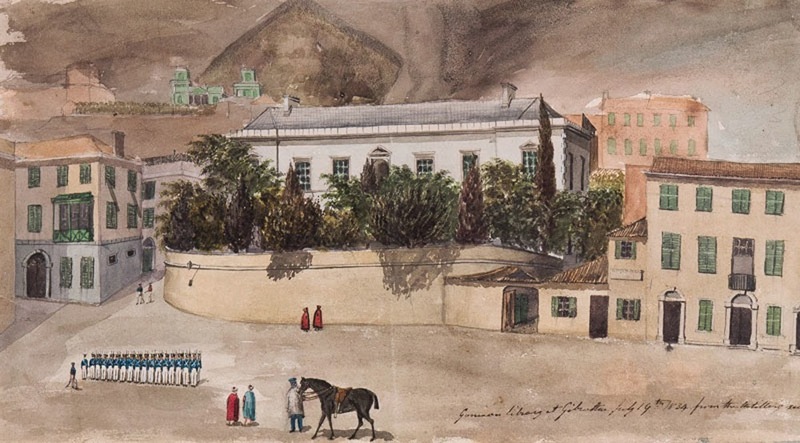 He was an R.A. man himself and a subscriber to the Garrison Library ( See LINK ) which was one of Gibraltar's most well-know institutions. Library Ramp is the small road leading upwards to the left. To people my age it was a children's delight. We called it el Balali - Ball Alley. The green building in the background could be the new Colonial hospital which had only very recently been built on the site of the old Blue Barracks - but I am not at all sure. A nice levanter swirling and above it all O'Hara's Tower still standing.